A Romantic Retreat – Henderson Park Inn If you’re looking for the ultimate romantic escape, book your getaway now at the Henderson Park Inn. 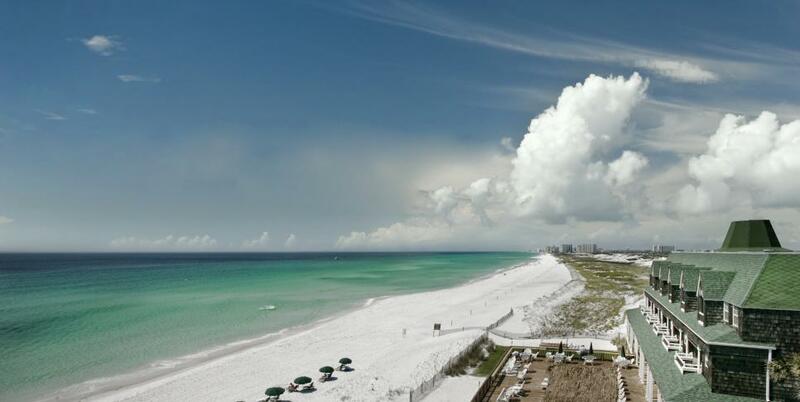 According to Condé Nast Johansens, “the Inn overlooks more than a mile of the most pristine and secluded white sandy beaches and has the most gorgeous views in all of Destin. 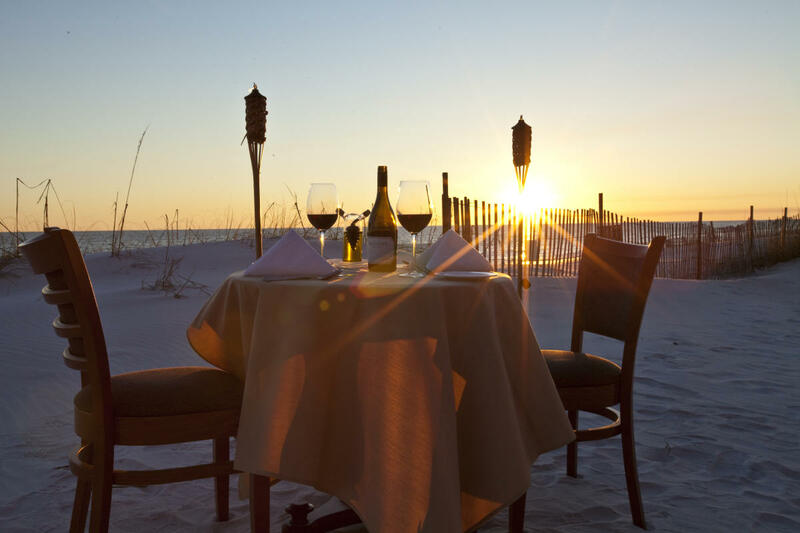 This is definitely the most romantic luxury boutique hotel on the Emerald Coast.” As the only beachfront hotel in Destin, Florida, it’s easy to see why the Henderson Park Inn has become a nationally recognized destination for honeymoons, anniversaries, and couples’ getaways. 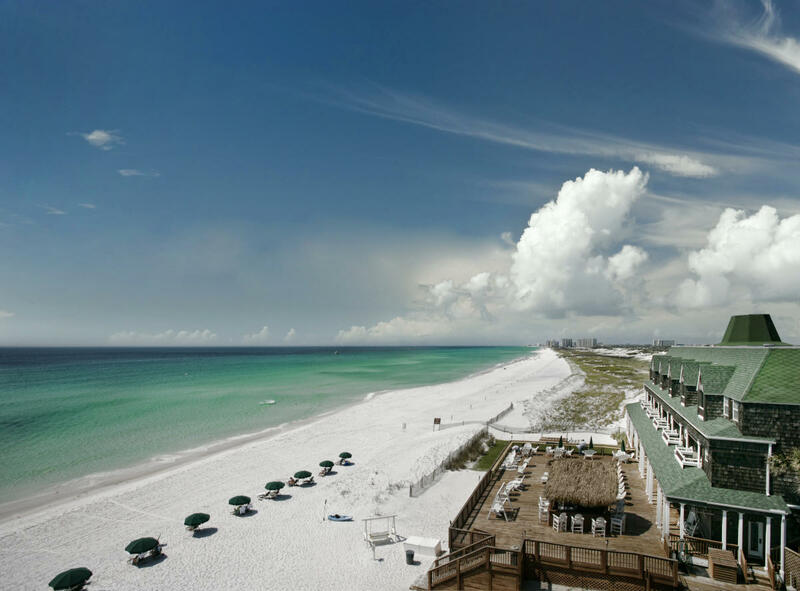 The Inn’s setting is spectacular, situated directly on the beach, allowing each room a vista of the Gulf of Mexico and the pristine white beaches of Florida’s Emerald Coast. Guests can take advantage of the location of Henderson Park Inn next to the beachside State Preserve by lounging on inclusive beach chairs with umbrellas, enjoying a picnic on the beach with a gourmet boxed lunch (also inclusive), or bicycling down Scenic 98 and the charming seaside neighborhood of Crystal Beach. 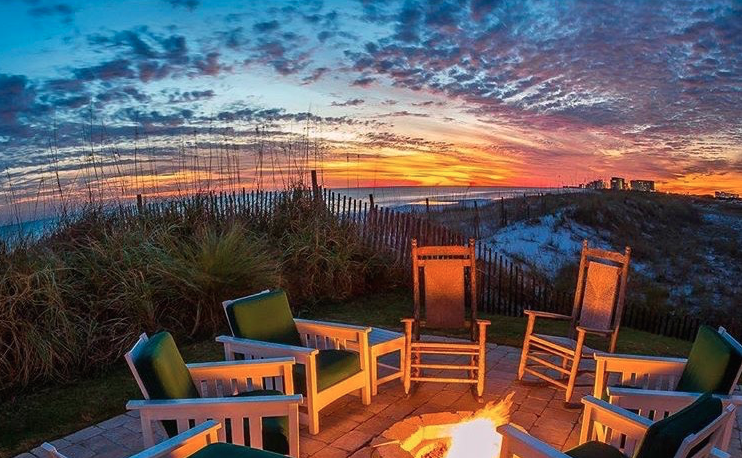 At this adults-only property, the beach exudes a more private, quiet ambience on the busy Emerald Coast. 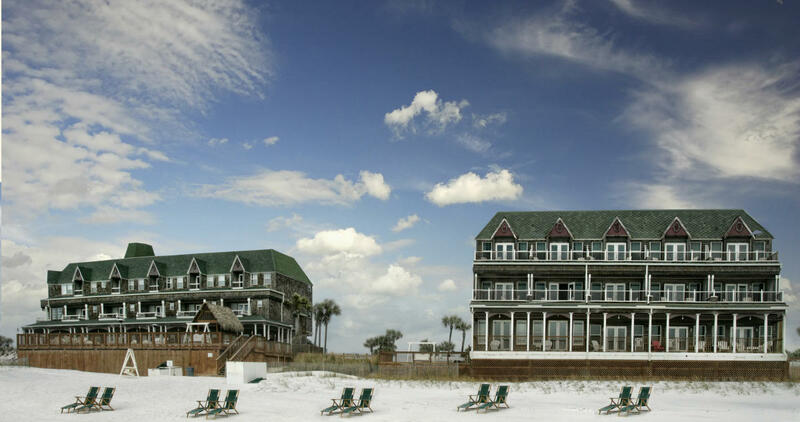 The Inn has earned the reputation as one of the finest lodgings in Florida and was voted the No. 2 Most Romantic hotel in North America. Guestrooms are elegant private sanctuaries and evoke a feeling of relaxation and serenity. Special amenities include wine, grapes and flowers upon arrival, all which make an overnight stay quite a treat. 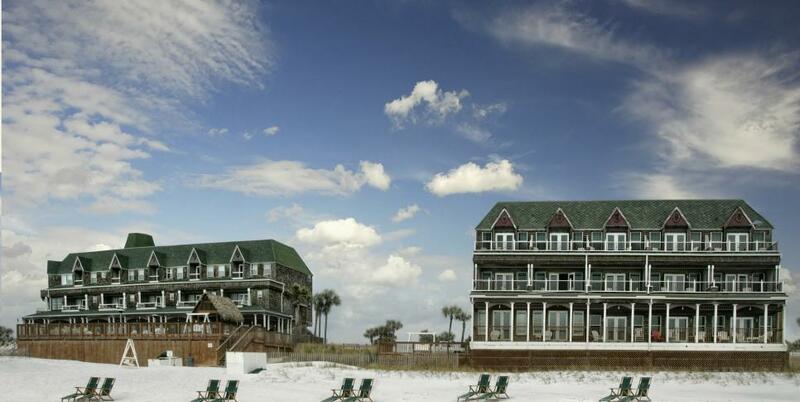 All this - and the Inn is right on the beach. 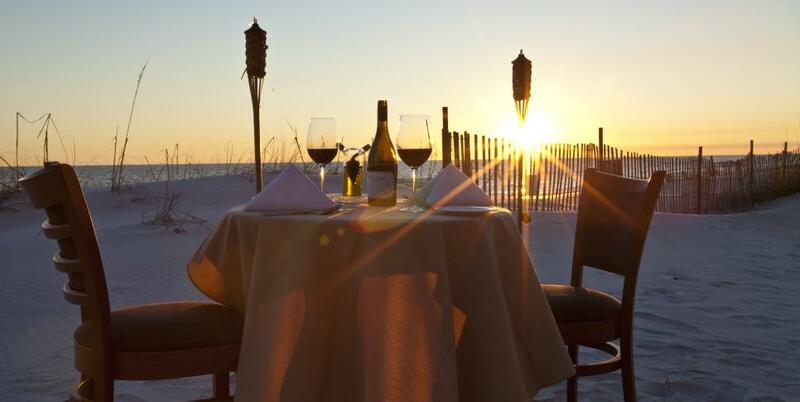 After a peaceful night sleeping to the sound of the waves, guests are treated to a chef-prepared breakfast like no other at on-site “Beach Walk Cafe”, the most awarded and only fine-dining experience directly on the Gulf. 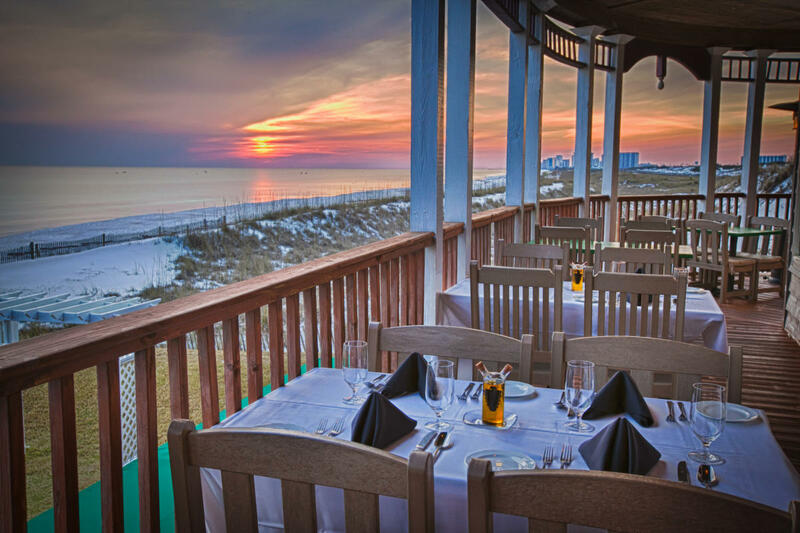 For dining in the evening (the only meal not included in the cost of the stay), the restaurant features a more intimate casual atmosphere with dining available inside with a cozy fireplace and magnificent views of the coast or outside on the verandas of the Inn overlooking the turquoise waters of the Gulf. 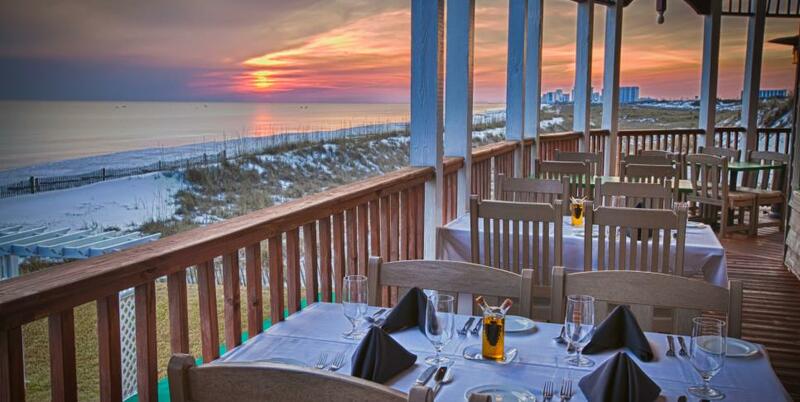 They even offer a rose-petaled “Toes in the Sand Dining” experience for the ultimate romantic evening! 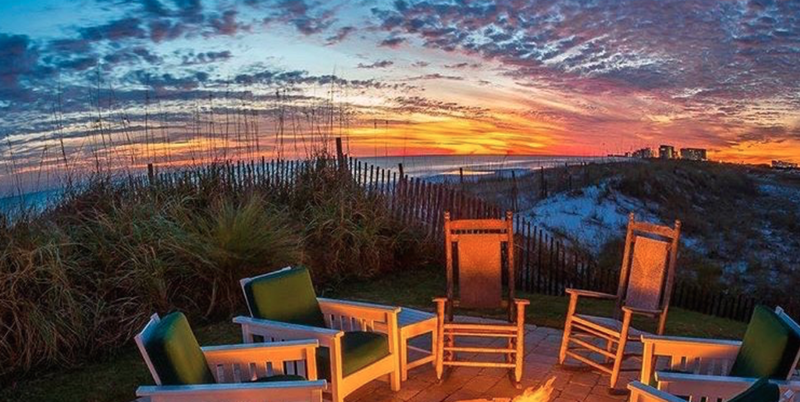 Looking for more activities than relaxing at the beach, the Inn’s guests have access to all the amenities next door at the Inn’s sister property, The Henderson, a Salamander Beach & Spa Resort. Home to two beautiful swimming pools, couples will love spending time at the Adults Only Pool, which features a luxury cabana with poolside beverage service. The Henderson hotel is beautifully appointed and worth a tour to view over 465 art pieces by 13 local artists and artisans! Guests who want to keep up with their workout routine can take advantage of The Henderson’s excellent fitness center. In addition to the standard weights and machines, the fitness center offers a variety of daily classes to enjoy, with everything from indoor cycling to yoga, and special yoga on the beach programs. For the ultimate in relaxation, Henderson Park Inn guests can book spa services including couples’ massages, facials, manicures, pedicures, mineral scrubs, and much more. Few resorts offer more than a mile of the world’s most beautiful, secluded beaches and the ultimate romantic experience. The guest book says it all. The comments from honeymooners and couples celebrating anniversaries and other special events are glowing. Henderson Park knows romance and provides such a relaxing atmosphere that everything else just seems to disappear. Whatever you left behind, when visiting the Inn, it’s sure to be forgotten in this romantic atmosphere. For more information, visit www.HendersonParkInn.com.